This is a very special Monday, as it’s also the birthday of my beautiful older sister Cherie, the inspiration for Monday Woodcutter. People always ask authors if any of their characters are based on real people. As a general rule, the characters in books are always based on some facet of the author him/herself. But sometimes, in some ways, life just fits in FAR TOO PERFECTLY. Monday’s Child is fair of face. That’s what the poem says. In Enchanted, Monday Woodcutter is the eldest of the Woodcutter sisters, a beautiful girl who marries a dark prince and leaves her family when she is still quite young. She has some fey blood, which she inherited from her mother, and so she ages slower than normal humans. My sister Cherie was once runner-up for Miss Vermont. (I’ve seen the winner from that year–she wasn’t prettier.) 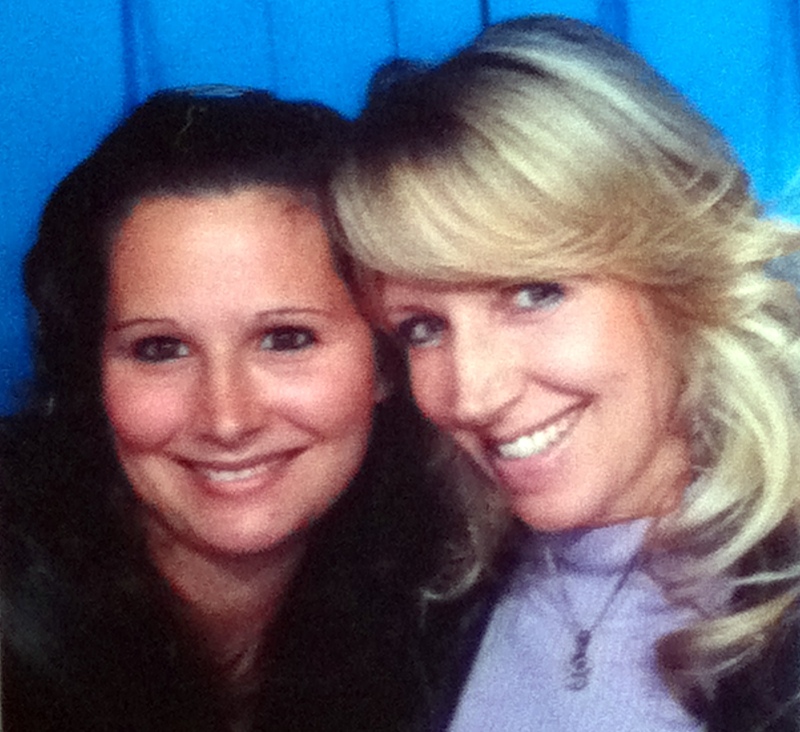 Through the years she has been Bo Derek and Farrah Fawcett, but always my big sister. She got married when I was six years old, to the dark and handsome man of Lebanese descent that she dated all through high school. Very soon after that my parents left Vermont, moving my younger sister (Soteria) and me away to South Carolina. We visited every summer, but it wasn’t the same. People lau gh when we refer to Cherie as “The Beautiful Sister.” Soteria and I merely shrug because IT’S TRUE. And not just because she’s blond. She was born on a Monday. This entry was written by Princess Alethea and posted on November 12, 2012 at 9:46 am and filed under Enchanted, Family, life. Bookmark the permalink. Follow any comments here with the RSS feed for this post. Alethea I LOVE you, you are such a great writer your words just seem to flow with such eloquence. That was such a lovely tribute to me on my 50th Birthday. I Love that you referred to me in your book Enchanted as Monday. Yay! Cherie on the internet! To ALL my beautiful daughters. The gift of beauty is only ONE of the many things your fey blood brings. Your lives will be filled with magical moments. This tribute to Monday was a magical moment for us all. Thank you, Princess Alethea.